Freelancing has gained tremendous popularity over the past decade or two. There are many pros going freelance these days, and many more who are considering making the jump. Before you take that leap, you need to give it some thought. Freelancing might work for many, but that doesn’t mean it will work for everybody. When weighing up your options, it’s best to have as much information as possible. There are a few freelancing myths out there and it can be difficult to know what to believe. Make sure that you’re aware of the common freelancing myths before making your decision. Let’s run through 5 things you should take into account when considering kicking off your freelance career. 1. Does Hard Work Scare You? One of the freelancing myths is that as a freelancer you work when you want to. While it’s possible to have one workday week/month and not starve to death, this is rare. It’s true you do make your own schedule but in order to pay your bills and/or finish the projects you’ve started, generally you need to work hard, including in the evening and on weekends. Basically, as a freelancer you end up working more than when you work for a company. So if hard work scares you, freelancing is not your best option. Well, when I say “hard work” I need to clarify that if you have worked for a company where most of the team doesn’t work at all but you and a few other workaholics do all the work, hard work as a freelancer will be a piece of cake in comparison. 2. Is Your Expertise Diverse? For many freelancers one of the reasons they end up working more is that they are diversifying their expertise. When you’re maintaining skills in five or more areas, you need to spend lots of time learning. Learning new things might not be billable but without it, you will be limiting your ability to do billable work. You’ll need expertise in multiple areas because this will increase your chances of finding consistent work. Of course, it’s not realistic to assume that you’ll be an expert in 15 areas, but the wider you can spread yourself, the more reliable your workload will be. 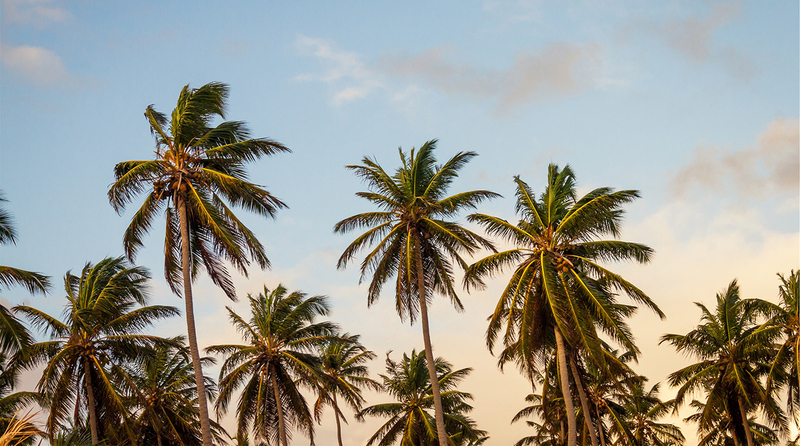 Of course, there are popular areas you can specialize in and forget about the rest. For instance, you can specialize in WordPress development/design because there is a lot of demand for it. However, don’t become too narrowly specialized (e.g. WordPress database management only) because this limits your options and you might spend a lot of time twiddling your thumbs. 3. How Good Are Your Sales and Marketing Skills? In order to be successful as a freelancer, your diverse expertise must cover not only the technical stuff but also sales and marketing. As a techie, this sales and marketing aspect is probably your worst nightmare but unfortunately you won’t succeed without these skills. Sales and marketing skills are essential in order to find clients and/or sell your products if you decide to go at it alone. No matter how you find your clients – via ads on job boards, bidding sites, or through networking, you need to know how to sell yourself. You need to know how to sell yourself. You might be a technical genius but if you don’t know how to show your best side to clients, you will hardly be buried in work. You need to know how to promote your skills, follow the market, and monitor your competition. This might sound complex but it really isn’t. In fact, you are most likely already doing it but you don’t label it as “market research”. If you want to begin developing your own products then you will need much more in-depth sales and marketing skills. In this case sales and marketing skills are even more crucial because if you don’t know the market and offer a product nobody is interested in, or if you don’t know how to sell it, you can lose quite a lot of money. Not to mention all the time and effort you will have wasted developing the product. 4. Do You Have an Appropriate Home Office? I guess everybody has had bad experiences with an uncomfortable work environment and knows the importance of a good office. If you can’t provide yourself a comfortable office, any cubicle nightmares will be just pleasant memories! Without a comfortable working environment you simply won’t be able to work properly. A good, yet modest, home office could cost $1,000-2,000 to equip with decent hardware and furniture. If you need fancier stuff, such as four monitors, cutting-edge hardware, a super-duper ergonomic chair, a treadmill standing desk, or the best internet in your country, then you’ll need to make sure you can afford it. You may start moderately and as business grows, buy things one by one instead of getting all this upfront. 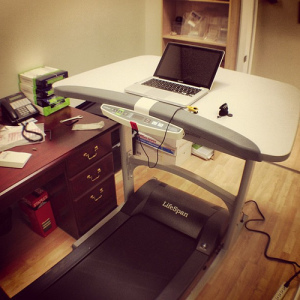 If you can only work at a treadmill standing desk you’ll need to make sure you can afford it. Remember, you need this office long-term. For example, it might be better to get a more expensive chair that is comfortable to spend hours in than borrow a kitchen chair from your Mom that will kill your back in no time at all. It’s likely you already have some furniture/equipment you can use, so you won’t be starting from scratch, but you will probably need to scale up. It’s an absolute must to have at least one spare computer in case your primary one breaks. While I know people who sell their old computer the moment they get a new one, I believe most of us can’t part that easily with a beloved toy. Provided it’s not completely broken, an old computer can be used as a spare until you fix the main one. In addition to at least one spare computer, you will also need a comfortable chair and desk, software licenses for the programs you will be using. If you use open source software, licenses are one thing less to worry about. Otherwise, you might need thousands of dollars just for software licenses. If you live with other people — family members or roommates — finding peace and quiet could be quite a challenge and could seriously disturb your work. You may have to rent an office, which depending on where you live might cost a fortune. Make sure that this is something you consider before taking the plunge into the freelancing world. You’d hate to be forced to hop from cafe to cafe, or maybe that’d suit some? As for your internet connection, it is one more thing you will absolutely need. Since you will be doing most work from home, your internet connection is your lifeline. Broadband might be the standard in most parts of the world but you’ll need to look into the availability of reliable internet where you are. Typically it’s rural areas that have no good internet providers (if any) but even if you live in the center of a huge metropolitan area as I do, there is no guarantee you’ll enjoy good internet. For over six years I had a great internet connection but a couple of months ago I got reminded of what dial-up speed is like thanks to my provider. Freelancing on dial-up speeds is almost certainly not possible. Of course, you can run a freelance business in a more humble home work environment and even without a consistent internet connection, but it’s more difficult. If this is your situation and you are comfortable with the limitations, you can definitely still give freelancing a try. In fact, I personally would rather go for a very humble home work environment and a so-so internet than noise and lack of peace, so just decide for yourself if the limitations in your particular case are something you can live with, even if nobody else would. 5. Can You Live with Unstable Income? It’s quite common to make more money as a freelancer than you would in a 9-5 job but by no means take this for granted. And making more money doesn’t necessarily mean you’ll have money when you need it most. It takes a lot of hard work to build up a steady income as a freelancer. In theory, you can find clients who pay on regular schedule, which is great but if you miss the submission deadline, or the client doesn’t approve the submitted deliverables right away, you’ll miss the payment date and have to wait for the next one. It’ll get difficult if you don’t have any projects on the go (or you’re unable to work), especially for a long period of time. In such cases it can get really tough and you do need to think about these moments in advance and set some funds aside for if disaster strikes. There are many ways to make additional income as a freelancer. Sources of residual income are especially good because you’ll be getting paid while you sleep or when you’re not working. Keep in mind that building a decent residual income does take a lot of time and effort and you’ll have to balance this with your main projects. There is always risk when you become a freelancer or start your own company and you can never know for sure if it will work for you or not. If you are comfortable with most of the limitations of freelancing I’ve raised, chances are it will work better for you than a daytime job and it might be worth a shot. Even if you have what it takes to be successful as a freelancer, you can never be sure things will go as planned. Don’t lose faith if there are a few bumps on the freelancing road — bumps are part of life and we just need to learn how to live with them. I would add a question to your article : "Can you be focused and organised by yourself?" many people even when using great tools to help them be organised just dont have this skill. Thanks Ada Ivanoff. Your article will help people like us who would like to be a freelancer.